Located on Wellington’s premier street, Oriental Parade, the Copthorne Hotel Wellington, Oriental Bay overlooks the harbour offering one of the most luxurious accommodation experiences in Wellington. The beautifully appointed rooms incorporate design cues from the surrounding natural environment and feature all the modern comforts you would expect from a contemporary city hotel. 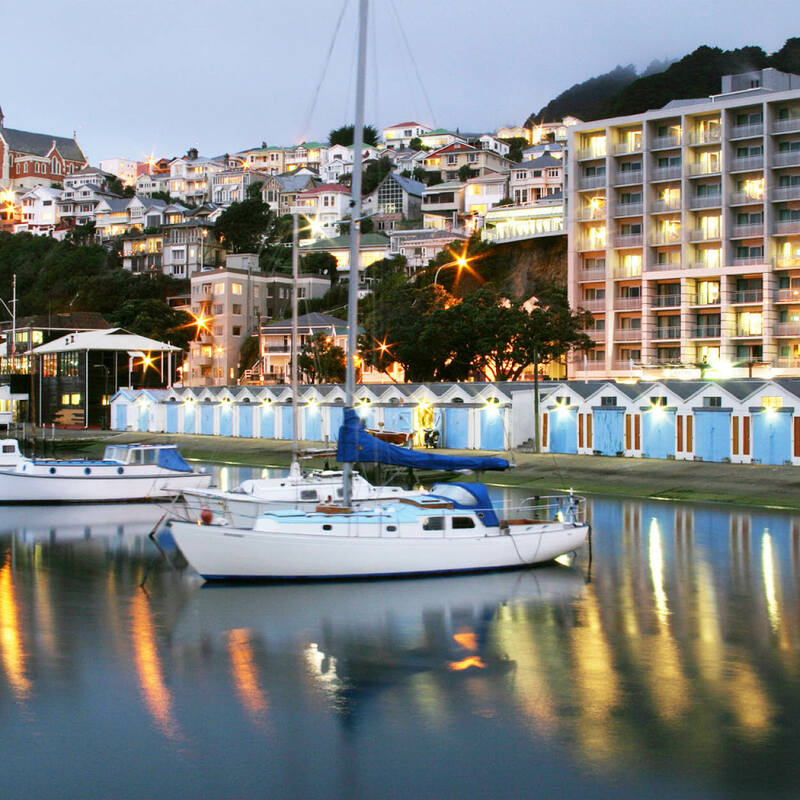 The superb waterfront location makes the Copthorne Hotel Wellington, Oriental Bay the ultimate place to be with the city’s sights and delights just footsteps away. A leisurely 10 minute walk brings you to city shopping, the commercial centre, theatres, Te Papa Museum and Courtney Place, home to great restaurants and bars. Copthorne Hotel Wellington, Oriental Bay is endorsed with a 4 Plus Star and Enviro Silver rating establishing the hotel as a premier environmentally aware accommodation provider.